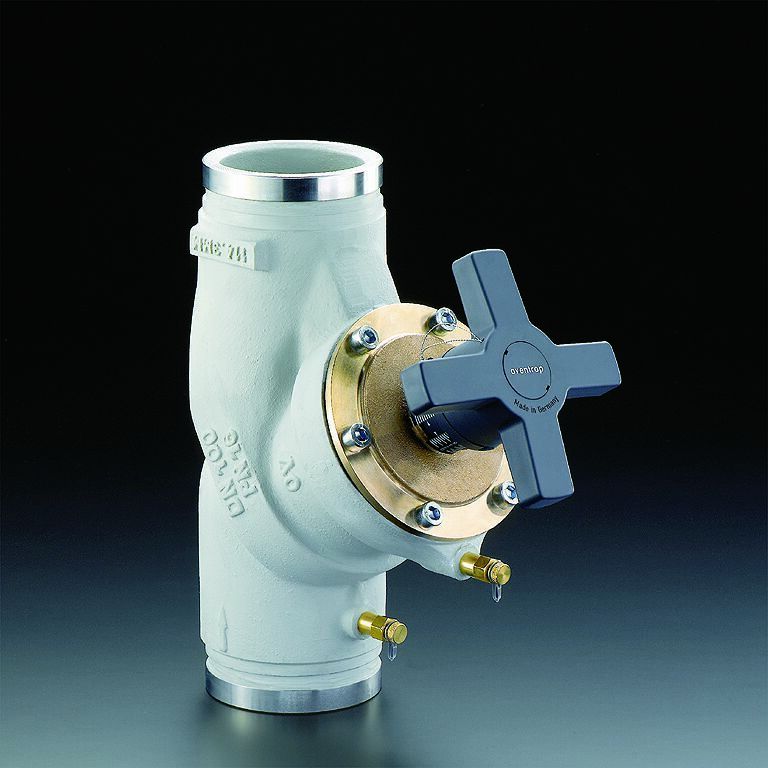 oblique pattern model, with secured, infinitely adjustable pesetting controllable at any time with the help of the flow limiting device. 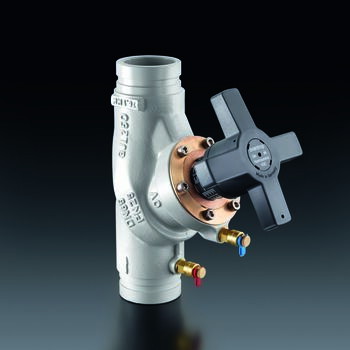 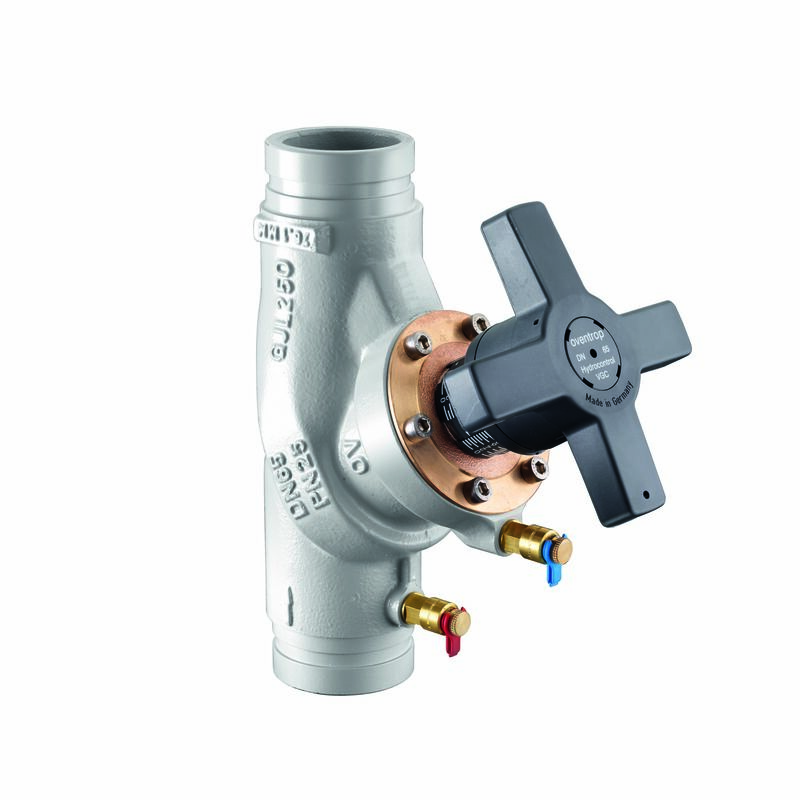 Valve body made of cast iron (GG 25 DIN 1691), bonnet and disc made of bronze, stem made of brass resistant to dezincification (DZR), disc with PTFE seal, maintenance-free stem seal due to double EPDM O-ring. Presetting lead-sealable. 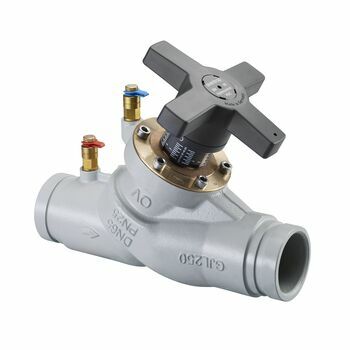 All functioning components in one plane, pressure test point and fill and drain ball valve are interchangeable. 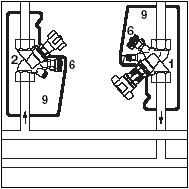 Both ports groove connection for connection of couplings of the systems Victaulic and Grinell.